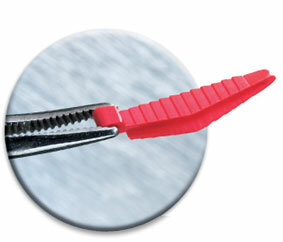 FlexiWedge | Common Sense Dental Products, Inc.
Common Sense Dental Products, Inc.
FlexiWedge from Common Sense Dental is the dental wedge that fits the interproximal space. Unlike other wedges, FlexiWedge has a patented, hollow undersurface that allows the wedge walls to collapse and then expand into concavities. With FlexiWedge, forces are directed toward separation. Graduated side depth allows superior fit'deepest in the box area'while directional retentive arms hold wedge in place.